Moshe Kaplan, M.D., is a trained psychoimmunologist, using mind, body and soul integration to achieve optimal health and well being. He was All-American lacrosse player and Major decorated for valor in the US military. Professionally he was co-founder of Wellness Medical Clinics which applied wellness concepts to practical reality and co-author of a curriculum used in medical schools as model for an ideal health care delivery system. 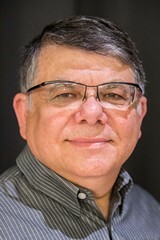 In 1986 he relocated to Israel where he serves as a Medical Director of Magen David Adom ,and has compiled 2 books, “A Wholly Life” Targum Press 2005 and “Be A Mensch” Gefen Publishing 2009 in English. In 2010, he founded the “Be A Mensch” Organization, an educational program to upgrade the basic values in Israeli society with the book being published in Hebrew by Yediot Achronoth Group. In 2011. He founded Recnac, a company which has produced the worlds first all natural, science based immune booster, Negda (negda.com), which caused death of cancer cells in a recent trial. In 2011 he founded Recnac, a company which has produced the worlds first all natural, science based immune booster, Negda (negda.com), which caused death of cancer cells in a recent trial. He lives in Jerusalem with his wife, Karen. Born in March 1952, married to Ita with three daughters. Holds a PhD in Organization behavior, an Executive MBA and a Bachelor in Social Work. He has 20 years of experience in human resources management in Israeli and International companies. He has been an organizational consultant for 9 years in the private and government sectors. He is a reserve officer in the Israel Defense Forces and for the past 10 years has been a Police volunteer in the rank of “Rav Pakad”. 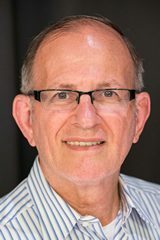 Chaim Oren has more than 25 years of experience working and consulting to leading corporations, and not-for-profit organizations in the fields of marketing, sales development, advertising, and branding, in the US, Europe and Israel. Chaim Holds an MBA in Marketing from the City University of New York and B.A in Political Science from Tel Aviv University. Chaim is the co-founder of “Ruach Tova” – a nation-wide volunteering organization. He served as the Marketing Director for “Essence of Life” a not-for-profit organization. He also helped launched the “Volunteering Channel” of YNET- Israel’s leading online volunteering platform. Chaim’s consulting firm advises not- for- profit organizations and companies in the fields of marketing, branding and fundraising in Israel and abroad. 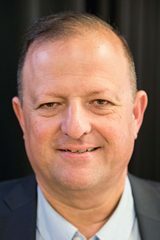 Yehuda Shine is a strategic advisor of programs and projects in “Be A Mensch”. In 1997 he founded the “Equality Now” Movement – a non-political social movement that encompasses tens of thousands including secular, religious and Charedi. “Equality Now” among other things also runs a youth and young adult activists movement that promote education of values such as tolerance, solidarity, equality and social justice. 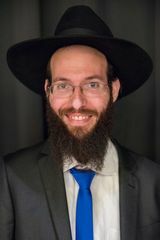 Several years ago he founded the organization “Chemla” (compassion) – “Charedim Mitnadvim Lemaan Hachayot” for the Prevention of Cruelty to animals. Yehuda is an educational consultant and curriculum developer for schools. He produces educational programs, presentations and videos for informal education and youth movements. He develops leadership programs and training manuals for youth movements. Among his many activities Yehuda also works as a mediator and invested a lot of effort to bring peace in Bet Shemesh between the different sectors of the population. His world view includes “live and let live”, and increasing individual freedom while maintaining social balances in society. Yehuda is a strategic advisor to companies and associations and personal trainer to people in key positions. Yakov has a Bachelor of Commerce from the University of Toronto. 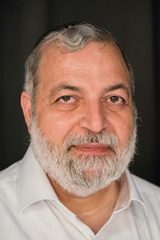 After over 33 years at IBM Yakov is now the CTO of Be A Mensch.